Julie Tibbets is a partner in Goodwin’s Technology and Life Sciences group and a member of its FDA practice.Ms. Tibbets focuses her practice on FDA-regulated product development, marketing and corporate communications as well as the intersection of each of those with corporate strategy and securities disclosure obligations. Her product reach spans biologics, drugs, medical devices, in vitro diagnostics, foods, dietary supplements, and cosmetics. Ms. Tibbets advises clients on interactions with the FDA, product formulations, clinical trial documentation, adverse event reporting, commercial strategy, product labeling and advertising. She also leads the regulatory due diligence reviews of FDA-regulated M&A targets, potential collaborators and licensees. 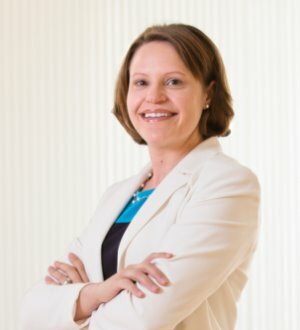 Since 2013, Ms. Tibbets has appeared on the Washington, D.C., Super Lawyers list of “Rising Stars” in the FDA area and was selected by her peers for inclusion in The Best Lawyers in America every year since 2016 for FDA law. Ms. Tibbets is a member of the Food and Drug Law Institute, the Regulatory Affairs Professionals Society, and Drug Information Association. In addition, she pens a regular column in Pharmaceutical Marketing 360 on drug and medical device marketing and communications topics of interest to industry legal, marketing, and regulatory professionals. Represented Advaxis, Inc., a biopharmaceutical company developing immunotherapies, in a clinical collaboration and licensing deal with Amgen Inc. for a preclinical candidate involving $65 million in upfront cash and equity investment with $475 million in development, regulatory and sales milestones and tiered royalties on net sales. Represented Fresenius Medical Care in FDA regulatory due diligence for its $2.0 billion acquisition of NxStage Medical, Inc.*Counseled the medical affairs and promotional review committees of biologic, drug, medical device, diagnostic and laboratory companies on managing regulatory risks and ensuring compliant materials and activities across a broad portfolio of products and uses. Advised early-stage biopharmaceutical companies on product development strategy, regulatory submissions, clinical hold resolution, clinical development meetings with the FDA and related corporate communications. Negotiated clinical trial agreements, pharmacovigilance agreements, study site letters of indemnification, clinical collaboration agreements and development agreements. Advised biologic, drug, device and diagnostic companies on the application of Physician Payments Sunshine Act reporting requirements to their businesses. Conducted FDA regulatory due diligence reviews of food, drug, device, clinical laboratory and dietary supplement companies and advised clients on the regulatory risk profiles of target companies and business units subject to pending mergers and acquisitions. Advised healthcare providers and distributors on DEA and state reporting requirements for the diversion or loss of controlled substances. Assisted food, dietary supplement and cosmetic manufacturers with new product launches, including review of product branding, labeling, marketing claims and substantiation.